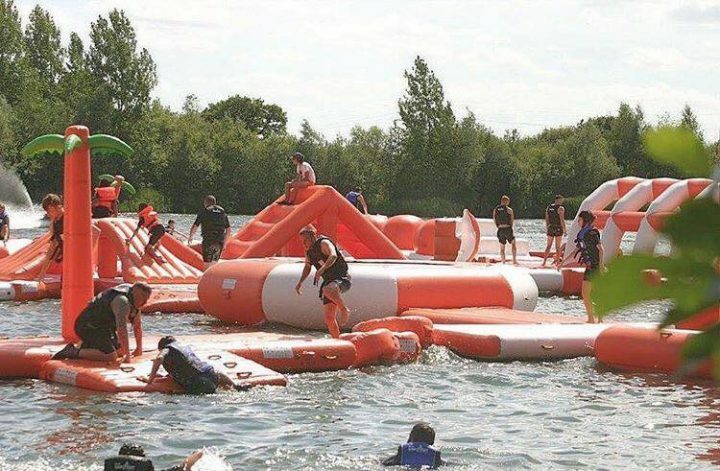 The world’s biggest inflatable aqua playground is opening this weekend in Reading. Yup that’s right. The inflatable Lagoona Aqua Park in Pinewood Road South is massive! The 3,700 square metre area makes the second biggest in Dubai look like a paddling pool. There’s an obstacle course, and loads of watery activities including jet skis. It’s guaranteed to be chilly so wear a wetsuit. Cost: £15 per hour, wetsuit hire £5. 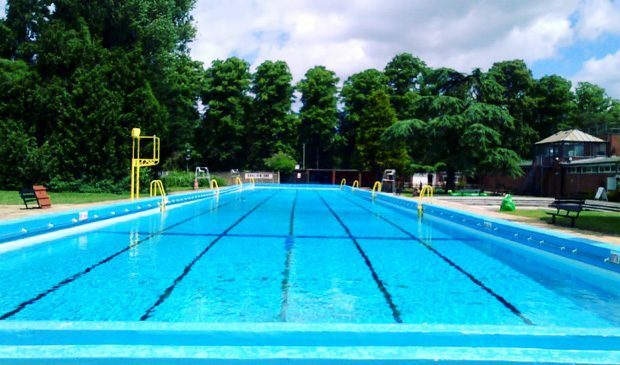 Can you believe this is the only lido in Berkshire right now? Thames Lido at Kings Meadow Reading opens later this year – and it is seriously swish. 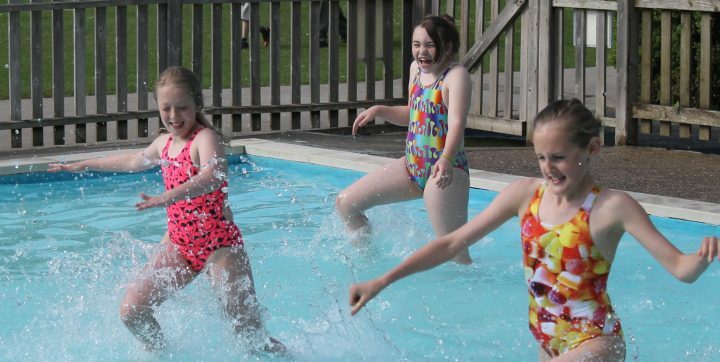 But for now you’ll need to head to Newbury’s Northcroft Leisure Centre to take a dip in its 71.8 m outdoor pool. It is massive! As you would expect when the mercury rises, the crowds swarm to Northcroft to hang poolside, so get there early and claim you turf. Before Lagoona Aqua Park, turned up with its fancy shmancy ‘biggest in the world’ accolade, we all embarrassed ourselves at Liquid Leisure in Datchet. 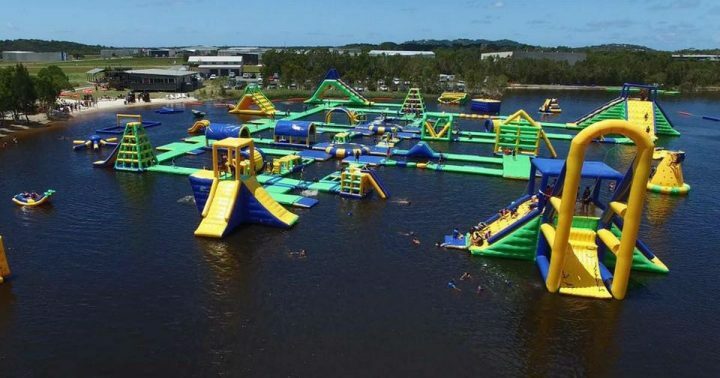 Slide, bounce, jump, climb and get dumped into the water at this awesome aqua park. Inflatable obstacles not your thing? There;s more – try wake boarding, paddle boarding, the banana boat and loads more. If your kids are older (8+ years) and you’re looking for a more thrilling experience, add it to your list. Always wanted to join the Boaty McBoatfaces of Berkshire, messing about on the water? You don’t need a Lotto win, just the ability to have a laugh. 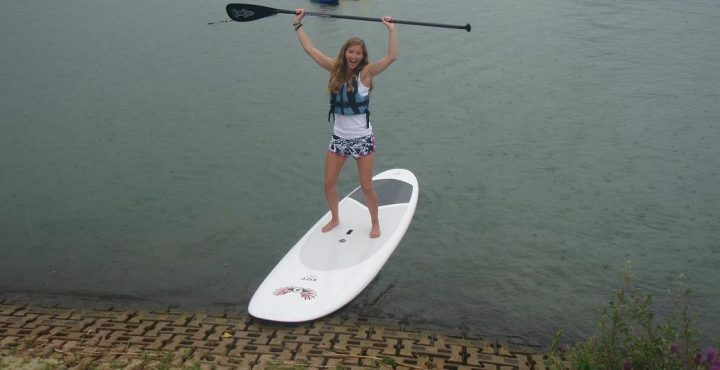 Throughout the summer, Dinton Activity Centre’s running taster sessions in kayaking, paddle boarding and sailing. The taster sesh costs £20, pre-booking is essential and it’s suitable for adults, families and over 8s. 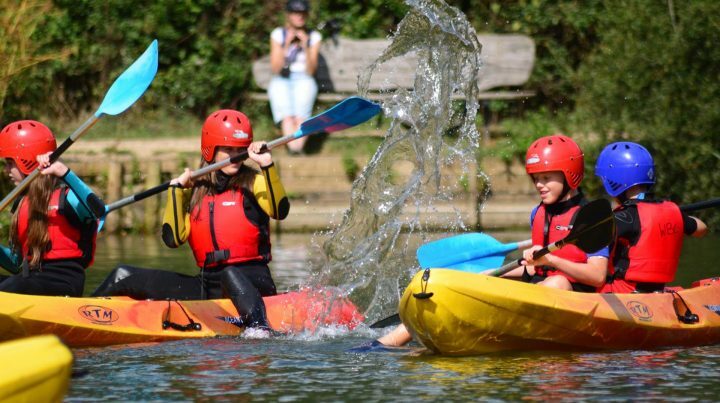 Bray Lake has it all going on – beautiful location and the largest independant water sports club in the country offering kids clubs and more water sports than you can paddle at. Learn to windsurf, sail, paddleboard or enjoy open swimming. They also run brilliant kids holidays courses. Drag them away from the tech and sign ’em up during the summer break. They’ll learn a brilliant skill and love the outdoors. 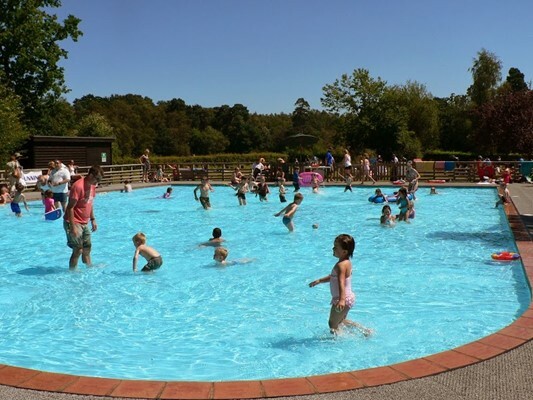 Pitch up at Wellington Country Park and let the kids run wild. There’s 350 acres to explore, hiding dinosaurs, train rides, epic slides and a splash zone. It’s particularly great for little ones, but I think if you’re hot enough the big kids and adults won’t mind a drenching. There’s always loads going on from fair, pixie and pirate weekends plus the big inflatable takeover. Great place to go in the summer hols. A supersized paddling pool that beats your teeny tiny garden inflatable any day of the week. 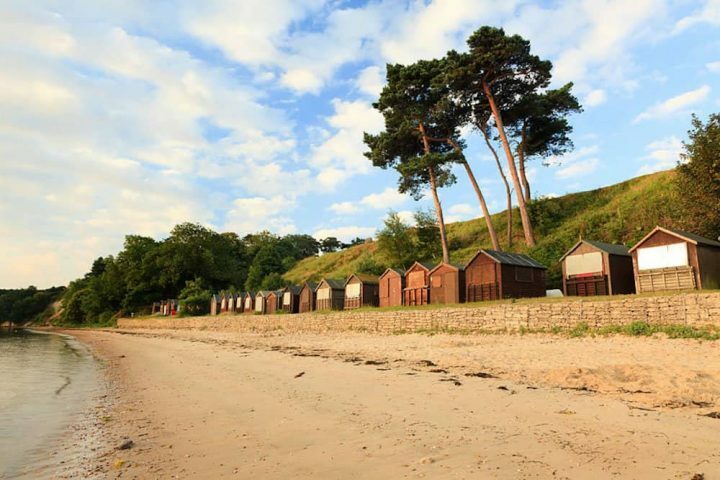 California Country Park has plenty to keep everyone entertained for a day out. There’s a small extra charge for this, but it’s not expensive. 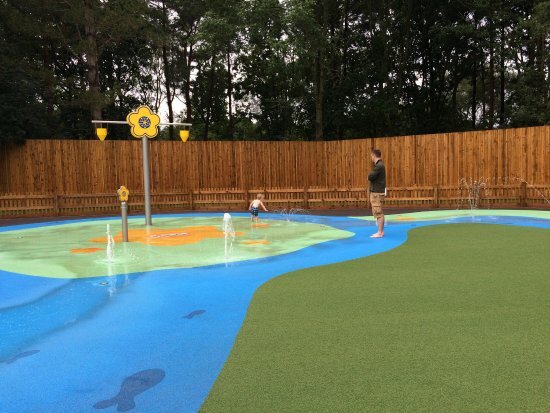 Situated next to the pool is a shady woodland play area, there’s also a café and a larger playground too. Picnic, go for a wander. It’s a place to chill and keep your cool. If you have young children with the attention span of a goldfish (comes with the teeny territory), Beale Park is perfect. Animals, a train, large adventure playground, sandpit and a big paddling pool. 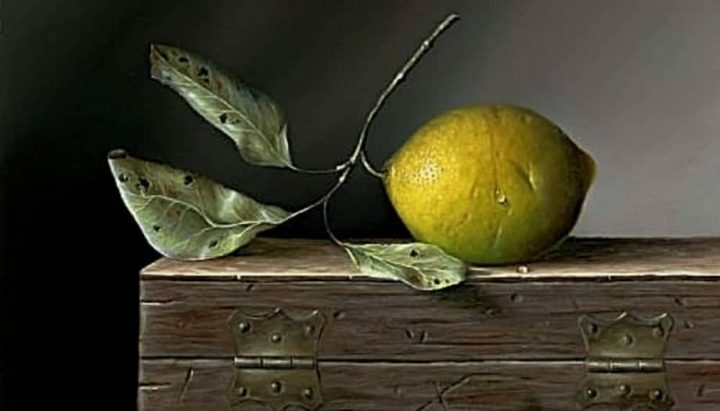 Happy kids, happy parents – gin consumption could be kept to a minimum on this day (just a suggestion) – as this is a day out that always ends on a high. Whilst the animal offering isn’t huge, there’s also a deer park and some lovely gardens to wander round.